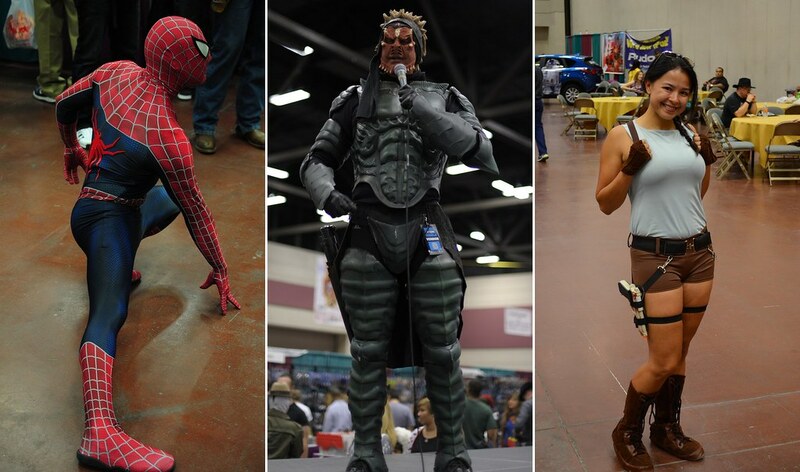 So, we went to EP-Con 2012 our local comic convention!!! 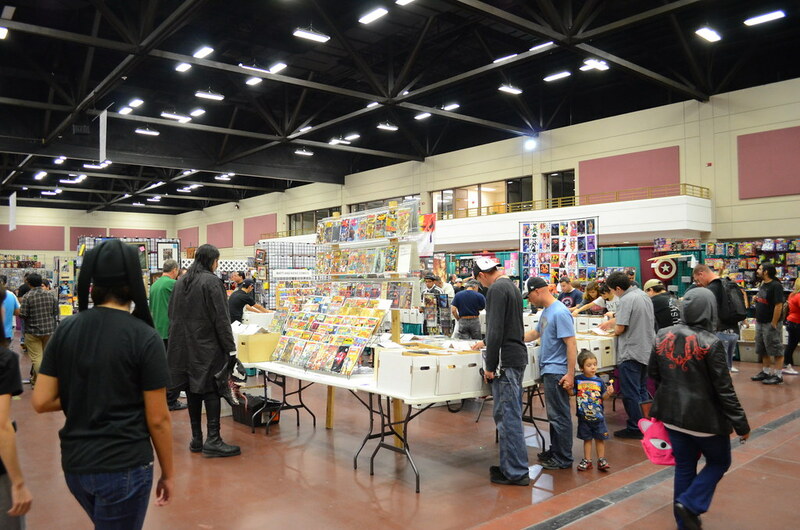 For the second year running what is known as EP-Con, the El Paso Comic Convention was held in the downtown convention center during this past weekend. Together with exilehero and friend #2, I attended during Saturday for the first time to check it out. 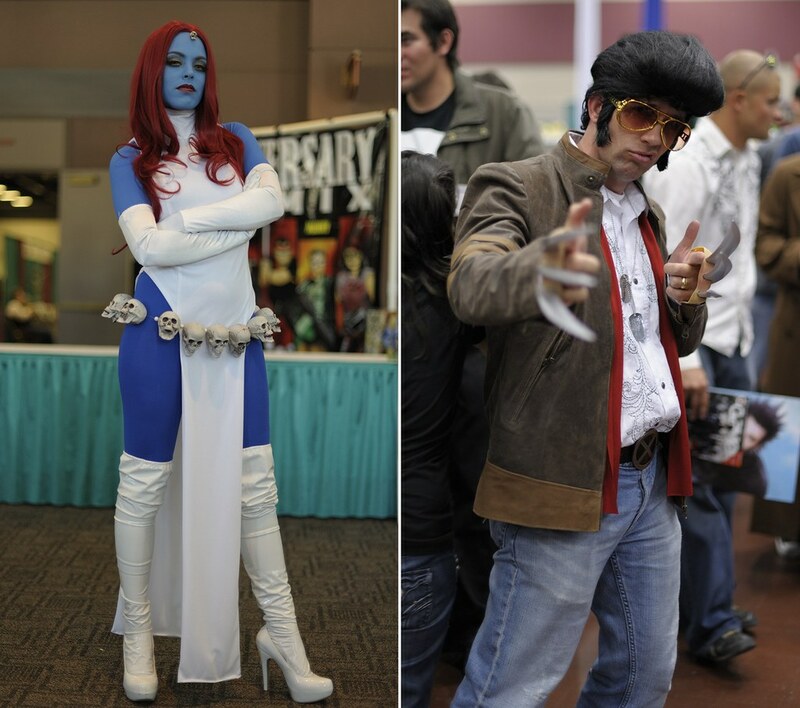 As the name entails the convention is made to promote comic and related culture by bringing together artists, guests, events, panels and vendors. Now, I got to admit, none of us three have any major interest in the comic book culture or knew the majority of the guests attending. We decided to take this as an oportunity to go out and take pictures of other things besides figures for a change. 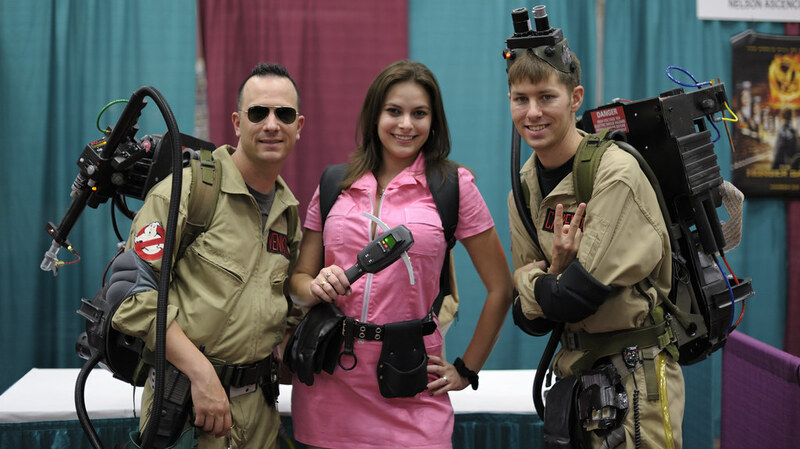 We were not disappointed at all, plenty of people dress up as a variety of characters for us to snap pictures. I was pleasantly surprised with the amount of effort people put into their costumes and acting in character for the pictures. 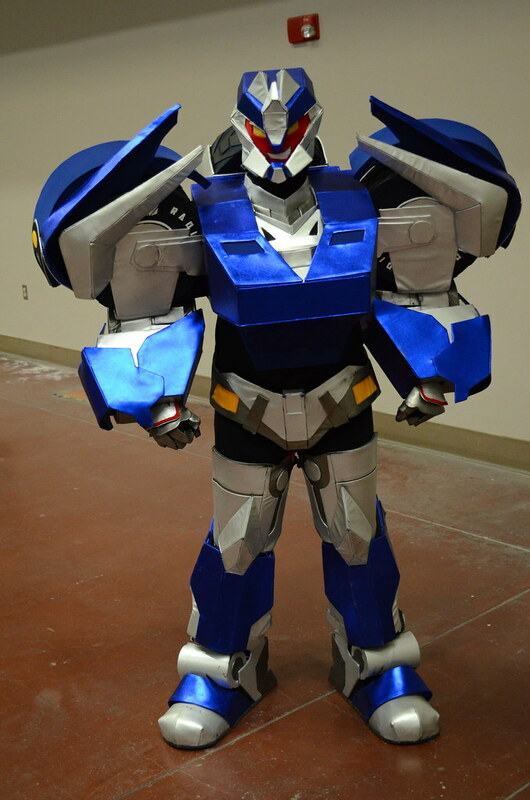 Although any prizes for effort have to go to the lovely lady who cosplayed as Breakdown from the currently airing Transformers Prime TV show. I'm always impressed at the people who go out and make elaborate costumes that are not necessarily of a human character. The amount of work that goes into making it, wearing and then getting out of it for simple tasks like eating must be commended in my opinion. 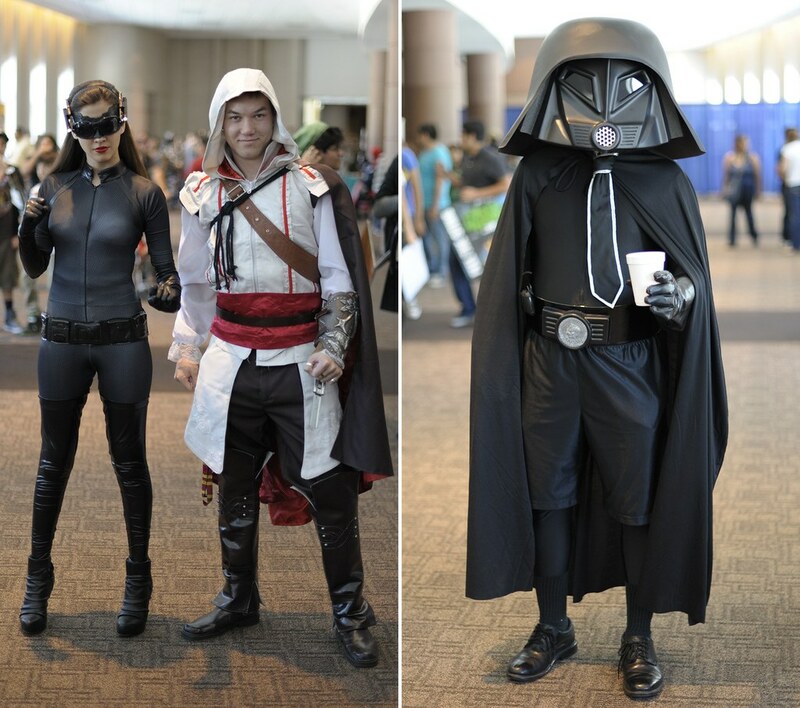 Although, it wasn't all western comic characters there were few people dress up as characters from anime and Japanese games. 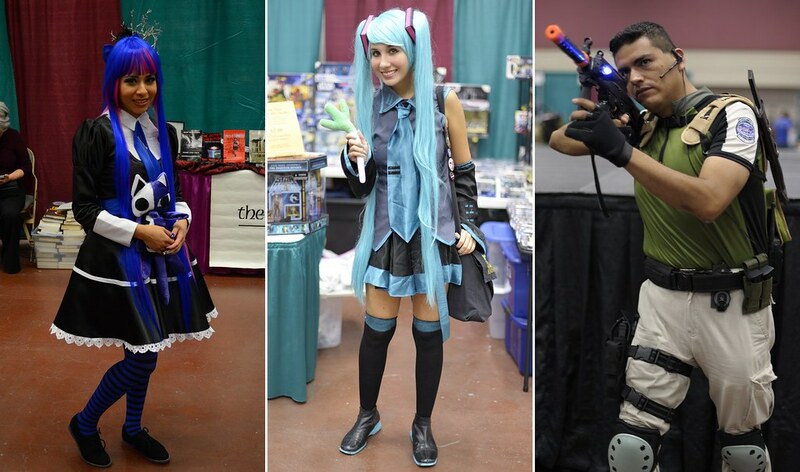 I definitely did not expect to find a Stocking or a Miku walking around at a comic con. 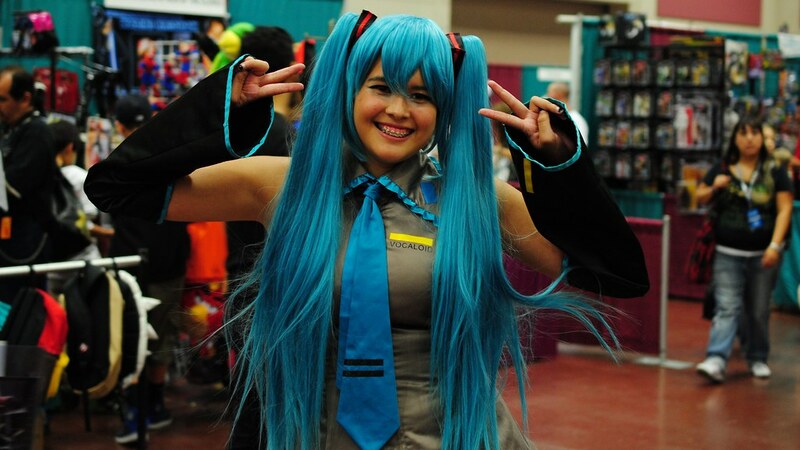 Much to my surprise there was not only one but two Mikus walking around at the convention. I particularly liked this girl, her slight embarrassment and awkwardness was kinda cute. Throughout the con there were events happening throughout the day to spice up things such as this rather interesting dancing number. 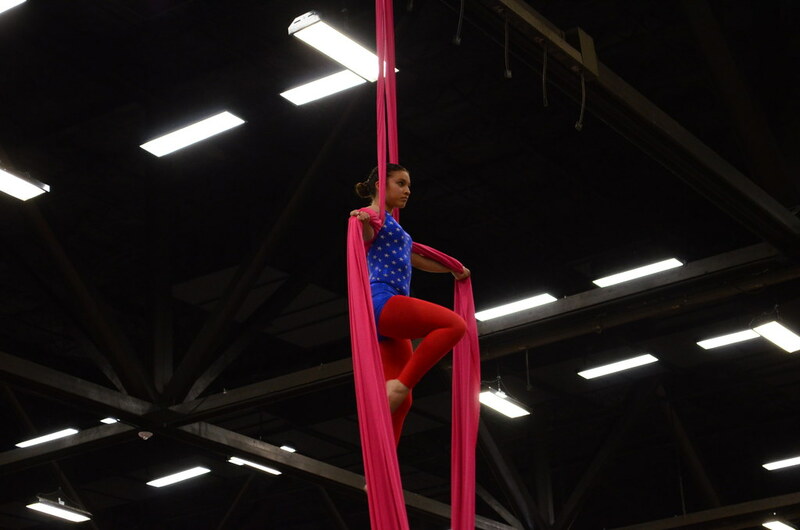 It included people dressed up in costume in stage dancing to popular culture music as well as an acrobatic display from some of the dance members. 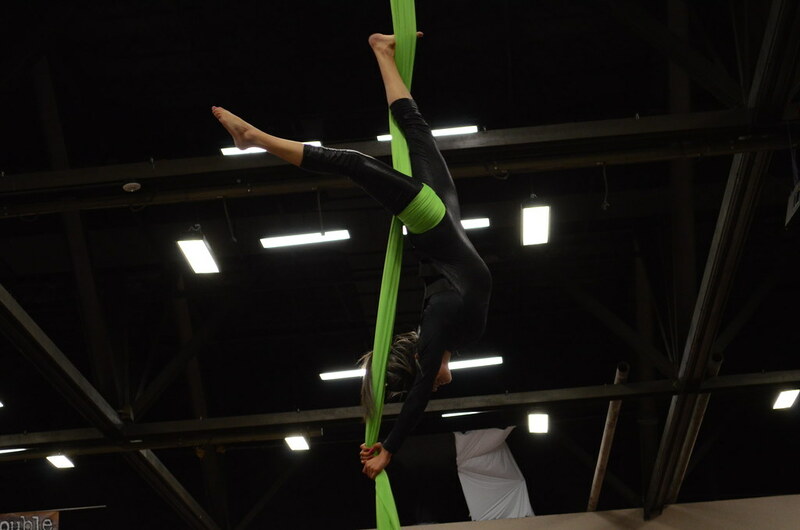 Very interesting, the performers hanged from a cloth suspended from the ceiling with no other support as they did their various movements in the air. I regret not taking a video, it was better than my bad explanation makes it sound like. One thing that I love about the cons that I have been to in the past is the spontaneity that results. Take for example this ensemble of people who just happened to cross by each other. 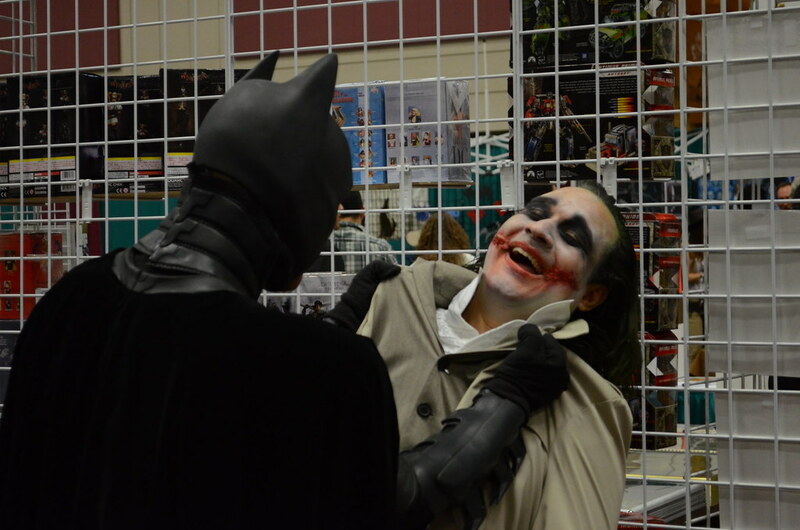 We ended with a nice recreation of Batman roughing up the Joker up to including Batman asking in his raspy voice "Where are they?!" in true movie fashion. Out of the events happening that day we only attended the cosplay panel, so surprised they emphasized on things like body shape and facial features when choosing a character to cosplay as well as how easy or hard is working various materials. I only expected a basic, this is what cosplay is kinda deal. 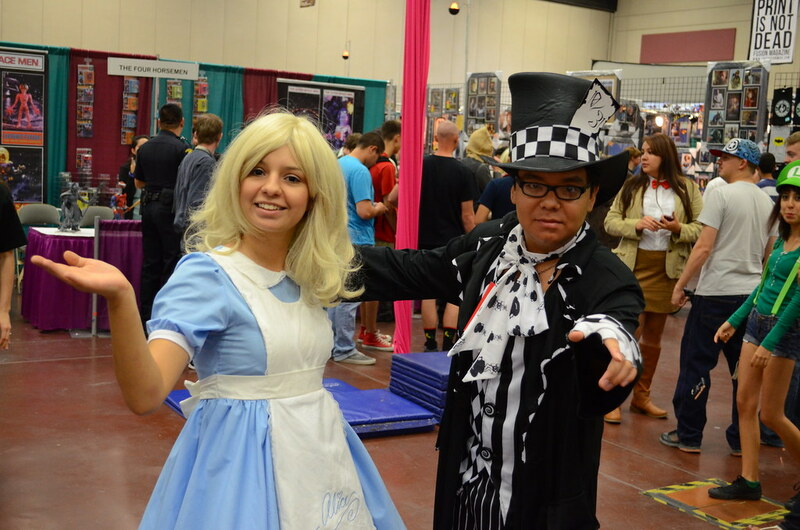 This con like all cons had various guests, from comic artists to movie and tv celebrities. There was the Alien Comedian, THE original black power ranger Walter Emanuel Jones, Michael Biehn from Aliens and Terminator fame to name a few. There was also quite a bit of artists selling their wares from local artists to seemingly famous artists. There was some very nice looking artwork pieces for sale as well as the expected comic book shops making an appearance. One shop in particular caught my interest as they were selling a packaged sets of comics covering a complete story line. There were shops selling assorted memorabilia such as framed posters, shirts, toys, autographs and several other things. 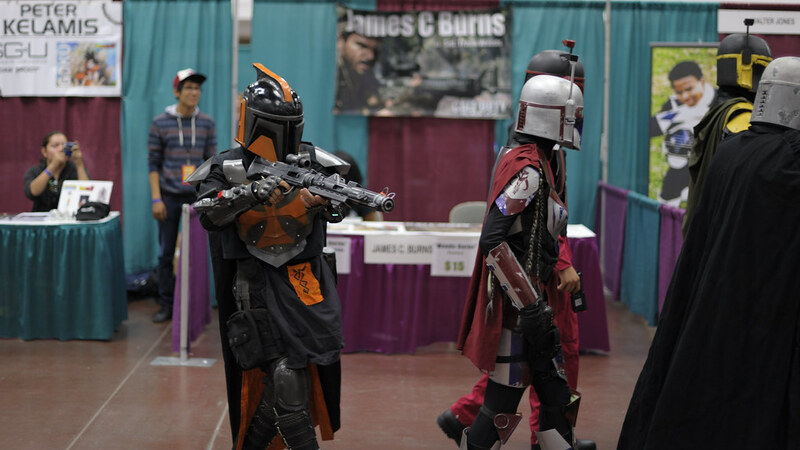 The guys for the 501st made an appearance, you could go sign up if you wanted too. 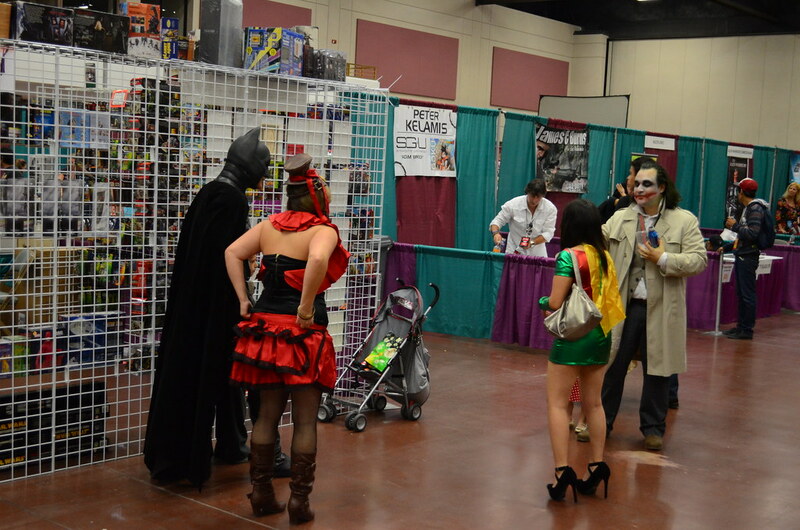 There was several charity organizations present come to think of it, all appropriately in costumes. 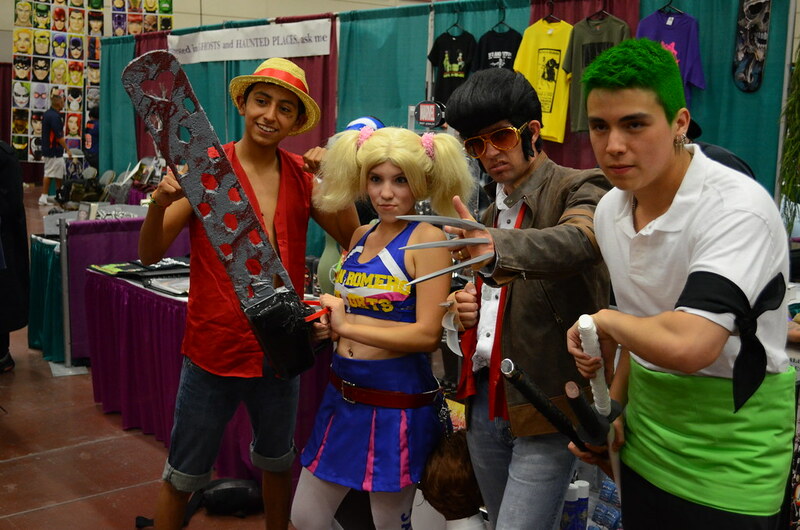 Going to this convention was an enjoyable experience, will probably go back next year. Although I did learn some very important things to keep in mind for next time: Bring a fast lens to shoot pictures, having other photographers with you as a backup is a saving grace and I don't know how to write about conventions.